Alan Erickson runs a large CrestClean business in Nelson. His customers are quick to pass on their praises after experiencing the high level of service he prides himself on delivering. CrestClean’s Nelson Regional Manager Barbara de Vries says she frequently receives great feedback about the work carried out by Alan Erickson and his team. 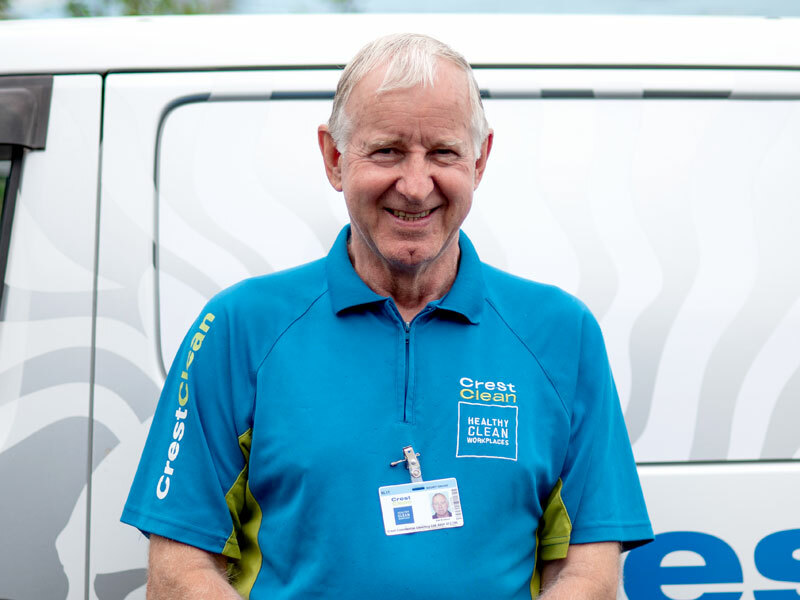 Alan, who runs the largest CrestClean franchise in Nelson, joined CrestClean after many years working for himself. He has extensive experience across a diverse range of industries. He has a background in farming, including sheep, beef and deer. He was also involved in sphagnum farming, with exports to Japan, Taiwan and America. He’s also been a motellier and owned a successful dry cleaning business in Nelson. “You name it and I’ve probably done it. I’ve tried many different things,” he says with a laugh. Since joining CrestClean five years ago Alan has worked hard to expand the business, taking on extra help as his customer base grew. He has several part-time employees and his daughter Kyla is also a key part of the business. Alan says while there’s no one single component to running a successful business, having employees who are experienced and enjoy what they are doing is essential. CrestClean is the largest trainer of cleaning personnel in New Zealand and each year it hosts more than 200 training events for personnel nationwide through Master Cleaners Training Institute. Although in his sixties, Alan has no immediate plans to retire and says cleaning helps to maintain his fitness.